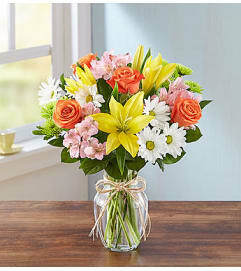 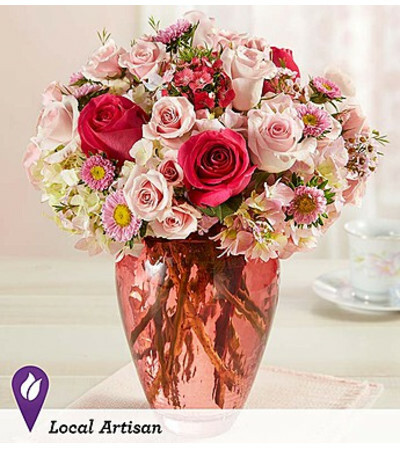 For special occasions or any day you want to make special, this exquisite bouquet conveys a multitude of thoughtful wishes. Floral designer Phil DeVito of 1-800-Flowers | Carle Place in New York has combined roses, hydrangeas, Matsumoto aster, dianthus and waxflower, placing special emphasis on the expressiveness of the colors. 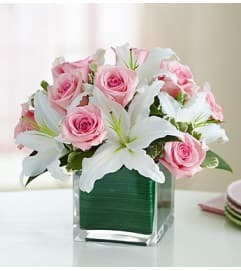 “The soft hues of the flowers together with the gracious look of the pink texture glass vase creates an arrangement full of warmth and love,” says Phil.